Brett is an environmental economist working in the field of ecosystem services, the particular focus of his research being the development of methods and knowledge for the support of environmental decision-making. He received a PhD in Economics from University College London in 2004, took up a faculty position in the School of Environmental Sciences at the University of East Anglia in 2005, and in 2015 joined the Department of Politics in Exeter University. 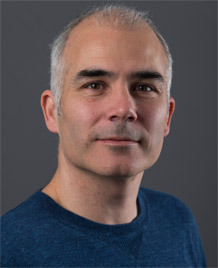 Brett has published widely in the academic literature including outlets such as Science, the Review of Economics and Statistics and the Journal of Environmental Economics and Management. He also maintains close links with government and business, applying the methods of environmental economics to problems of environmental management in both public and private sectors. (1) Non-Market Valuation: Stated Preferences - Applying methods of field and laboratory experiments to facilitate the detailed exploration of the process of preference expression in stated preference valuation exercises. (2) Non-Market Valuation: Revealed Preferences – Applying advanced spatial processing and econometric analysis to recover estimates of environmental value from data recording property prices or recreation demand. Brett’s work in this area was instrumental in changing UK government policy with regards to costing transport noise and also underpinned the introduction of emissions-differentiated road tax in the 2008 budget. (3) Integrated Environment-Economy Modelling – Designed and developing spatially-disaggregated integrated models of environment-economy interactions, for example, the TIM model developed for the National Ecosystem Assessment – Follow On project. (4) Payment for Ecosystem Services (PES) Mechanism Design – Applying principal-agent theory as well as experimental and simulation methods in designing efficient mechanisms for the implementation of PES. Brett has designed two real-world PES implementations paid for by water companies wishing to reduce agricultural diffuse pollution and is advising the UK government on mechanisms for the efficient allocation of agri-environment funds. Smith GS, Day B (2017). Addressing the Collective Action Problem in Multiple-purchaser PES: an Experimental Investigation of Negotiated Payment Contributions. Ecological Economics, 144, 36-58. Full text. DOI. Day B, Bateman IJ, Carson RT, Dupont D, Louviere JJ, Morimoto S, Scarpa R, Wang P (2012). Ordering effects and choice set awareness in repeat-response stated preference studies. Journal of Environmental Economics and Management, 63(1), 73-91. We present an experiment designed to investigate the presence and nature of ordering effects within repeat-response stated preference (SP) studies. Our experiment takes the form of a large sample, full-factorial, discrete choice SP exercise investigating preferences for tap water quality improvements. Our study simultaneously investigates a variety of different forms of position-dependent and precedent-dependent ordering effect in preferences for attributes and options and in response randomness. We also examine whether advanced disclosure of the choice tasks impacts on the probability of exhibiting ordering effects of those different types. We analyze our data both non-parametrically and parametrically and find robust evidence for ordering effects. We also find that the patterns of order effect in respondents' preferences are significantly changed but not eradicated by the advanced disclosure of choice tasks a finding that offers insights into the choice behaviors underpinning order effects. © 2011 Elsevier Inc.
Bateman IJ, Carson RT, Day B, Hanemann WM, Hanley N, Hett T, Jones-Lee M, Loomes G, Mourato S, Ozdemiroolu E, et al (2002). Economic Valuation with Stated Preference Techniques: a Manual., Elgar Publishing. Bateman IJ, Harwood AR, Mace GM, Watson RT, Abson DJ, Andrews B, Binner A, Crowe A, Day BH, Dugdale S, et al (2013). Ecosystem Services: Nature's Balance Sheet Response. SCIENCE, 342(6157), 421-422. Author URL. Kirkby CA, Giudice R, Day B, Turner K, Soares-Filho BS, Oliveira-Rodrigues H, Yu DW (2011). Closing the ecotourism-conservation loop in the Peruvian Amazon. Environmental Conservation, 38, 6-17. DOI. Day BH, Loomes G (2010). Conflicting violations of transitivity and where they may lead us. Theory and Decision, 68, 233-242. DOI. Parry L, Day B, Amaral S, Peres CA (2010). Drivers of rural exodus from Amazonian headwaters. Population and Environment, 32, 137-176. DOI. Day B, Pinto Prades J-L (2010). Ordering anomalies in choice experiments. Journal of Environmental Economics and Management, 59, 7675-7697. DOI. Parry L, Peres CA, Day B, Amaral S (2010). Rural-urban migration brings conservation threats and opportunities to Amazonian watersheds. Conservation Letters, 3, 251-259. DOI. Kirkby CA, Giudice-Granados R, Day B, Turner K, Velarde-Andrade LM, Duenas-Duenas A, Lara-Rivas JC, Yu DW (2010). The market triumph of ecotourism: an economic investigation of the private and social benefits of competing land uses in the Peruvian Amazon. PLoS ONE, 5 DOI. Bateman IJ, Day BH, Dupont D, Georgiou S (2009). Procedural invariance testing of the one-and-one-half-bound dichotomous choice elicitation method. The Review of Economics and Statistics, 91, 806-820. DOI. Bateman IJ, Day BH, Jones AP, Jude S (2009). Reducing gain-loss asymmetry: a virtual reality choice experiment valuing land use change. Journal of Environmental Economics and Management, 58(1), 106-118. In the majority of choice experiments (CEs) the attributes of non-market goods are conveyed to respondents as a table of numeric and/or categorical data. Recent research suggests that respondents may have difficulties evaluating data in this format. In the context of a CE eliciting preferences for changes in coastal land use, this study uses a split-sample experiment to compare standard presentations with virtual reality (VR) visualisations conveying objectively identical information. We find that compared to the standard presentation, preferences elicited in VR treatments are less variable and exhibit a significant reduction in asymmetry between willingness to pay (WTP) for gains and willingness to accept (WTA) for corresponding losses. We conjecture that the greater 'evaluability' of the VR presentation reduces respondent judgement error and moderates reliance on the loss-aversion heuristic. © 2009 Elsevier Inc. All rights reserved. Day B, Bateman IJ, Carson RT, Dupont D, Louviere JJ, Morimoto S, Scarpa R, Wang P (2009). Task independence in stated preference studies: a test of order effect explanations. Working Paper - Centre for Social and Economic Research on the Global Environment(1), 1-40. We present an experiment designed to investigate the presence and nature of ordering effects within repeated response stated preference studies. We formulate a general structural model of such effects and use this to isolate signature patterns for position-dependent effects (learning about preferences or institutions, and the impact of fatigue) and precedent-dependent effects (starting point effects, reference pricing and various forms of strategic behavior). This is tested within a large sample, full factorial study designed to mitigate against misspecification bias and design-induced error variance problems. Non-parametric and parametric analyses are applied, the latter adopting a novel data-driven approach to the detection of ordering patterns. While we find little evidence of position dependent effects, we do find evidence of a starting point effect and various types of strategic behavior including a reference price effect where respondents tend to reject alternatives that are priced higher than recently seen alternatives. Bateman IJ, Carson RT, Day B, Dupont D, Louviere JJ, Morimoto S, Scarpa R, Wang P (2008). Choice set awareness and ordering effects in discrete choice experiments. Working Paper - Centre for Social and Economic Research on the Global Environment(1), 1-45. The choice experiment elicitation format confronts survey respondents with repeated choice tasks. Particularly within the context of valuing pure public goods, this repetition raises two issues. First, does advanced awareness of multiple tasks influence stated preferences from the outset, and second, even in the absence of such awareness, does the process of working through a series of choice tasks influence stated preferences leading to choice outcomes that are dependent on the order in which a question is answered? the possible motivators of these effects include economic-theoretic reasons such as strategic behavior, as well as behavioral explanations such as response heuristics and learning effects. A case study of a familiar good (drinking water quality) combines a split sample treatment of the presence/absence of advanced awareness with a full factorial design permitting systematic variation of the order in which choices are presented to respondents. A further sample division allows examination of effects arising from variation in the scope of the initial good presented to respondents. Using discrete choice panel data estimators we show that both advanced awareness and order effects exist alongside interactions with the scope of the initial good. Ferrini S, Fezzi C, Day BH, Bateman IJ (2008). Valuing spatially dispersed environmental goods: a joint revealed and stated preference model to consistently separate use and non-use values. Working Paper - Centre for Social and Economic Research on the Global Environment(1), 1-25. We argue that the literature concerning the valuation of non-market, spatially defined goods (such as those provided by the natural environment) is crucially deficient in two respects. First, it fails to employ a theoretically consistent structural model of utility to the separate and hence correct definition of use and non-use values. Second, applications (particularly those using stated preference methods) typically fail to capture the spatially complex distribution of resources and their substitutes within analyses, again leading to error. This paper proposes a new methodology for addressing both issues simultaneously. We combine revealed (travel cost) and stated preference (choice experiment) data within a random utility model formulated from first principles to yield a theoretically consistent distinction between the use and non-use value of improvements in a non-market natural resource. The model is specified to relate both types of value to the attributes of the good in question including the spatial arrangement of the resource under consideration and its substitutes. We test the properties of the model using data simulated from a real world case study examining an improvement of open-access waters to good ecological standards. Through a Monte Carlo experiment we show that both use and non-use parameters can be precisely estimated from a modest sample of observations. Day B, Bateman I, Lake I (2007). Beyond implicit prices: Recovering theoretically consistent and transferable values for noise avoidance from a hedonic property price model. Environmental and Resource Economics, 37(1), 211-232. Using a two-stage hedonic pricing methodology we estimate a system of structural demand equations for different sources of transport-related noise. In the first stage, we identify market segments using model-based clustering techniques and estimate separate hedonic price functions (HPFs) for each segment. In so doing, we show how a semiparametric spatial smoothing estimator outperforms other standard specifications of the HPF. In the second stage, we control for non-linearity of the budget constraint and identify demand relationships using techniques that account for problems of endogeneity and censoring of the dependent variable. Our estimated demand functions provide welfare estimates for peace and quiet that we believe to be the first derived from property market data in a theoretically consistent manner. © 2007 Springer Science+Business Media, Inc.
Bateman I, Day B, Loomes G, Sugden R (2007). Can ranking techniques elicit robust values?. Journal of Risk and Uncertainty, 34(1), 49-66. Can ranking techniques elicit robust values? This paper reports two experiments which examine the use of ranking methods to elicit 'certainty equivalent' values. It investigates whether such methods are able to eliminate the disparities between choice and value which constitute the 'preference reversal phenomenon' and which thereby pose serious problems for both theory and policy application. The results show that ranking methods are vulnerable to distorting effects of their own, but that when such effects are controlled for, the preference reversal phenomenon, previously so strong and striking, is very considerably attenuated. © Springer Science+Business Media, LLC 2007. Day B (2007). Distribution-free estimation with interval-censored contingent valuation data: Troubles with Turnbull?. Environmental and Resource Economics, 37, 777-795. Nellthorp JA, Bristow A, Day BH (2007). Introducing willingness-to-pay for noise changes into transport appraisal: an application of benefit transfer. Transport Reviews, 27, 1-27. DOI. Bateman IJ, Brouwer R, Davies H, Day BH, Deflandre A, Di Falco S, Georgiou S, Hadley D, Hutchins M, Jones AP, et al (2006). Analysing the agricultural costs and non-market benefits of implementing the Water Framework Directive. Journal of Agricultural Economics, 57(2), 221-237. Implementation of the Water Framework Directive (WFD) represents a fundamental change in the management of water in Europe with a requirement that member states ensure 'good ecological status' for all water bodies by 2015. Agriculture is expected to bear a major share of WFD implementation costs as it is compelled to reduce the emission of diffuse water pollutants. The research outlined here comprises interdisciplinary modelling of agricultural land use, hydrology and consequent water quality effects to consider both agricultural costs and the non-market recreational use (and potentially non-use) values that implementation of the Directive may generate. A theme throughout the research is the spatial distribution of the costs and benefits of WFD implementation, which is addressed through the use of GIS techniques in the modelling of agricultural land use, the integration of land use and hydrological models, and the estimation, aggregation and transfer of the economic value of the benefits. © 2006 Blackwell Publishing Ltd.
Bateman IJ, Brouwer R, Davies H, Day BH, Deflandre A, Falco SD, Georgiou S, Hadley D, Hutchins M, Jones AP, et al (2006). Catchment hydrology, resources, economics and management (ChREAM): Integrated modelling of rural kand use &amp; farm income impacts of the WFD and its potential non-market benefits. Working Paper - Centre for Social and Economic Research on the Global Environment(1), 1-21. The paper outlines a programme of research funded under the Rural Economy and Land Use (RELU) programme. The proposed research will examine the likely effects of the Water Framework Directive (WFD) in terms of both its impacts upon the farming sector and the non-market benefits it may generate. From an agricultural perspective the WFD will impose a substantial extension of controls upon diffuse pollution from farms. A major objective of the research will be to assess the likely response and consequent economic costs to an already fragile farming sector. This objective will be addressed via a highly interdisciplinary methodology combining hydrological and other physical sciences with quantitative and qualitative socio-economic analyses to generate an integrated hydrological-economic model of farm activities and incomes. This will dynamically link farm local and regional activities to water standards, allowing feedback loops to indicate the impacts of altering farm activity and changing water quality targets. Model parameters and response scenarios will initially be established via quantitative estimation and then refined through a series of farm attitude and behaviour surveys. This cost-effectiveness analysis will be complemented by an assessment of the benefits arising from the WFD and an aggregation and equity analysis of the distribution of both costs and benefits. Planned deliverables include assessments of the impact of alternative WFD implementation strategies allowing policy makers to inspect effects upon farmer and the wider community at a variety of spatial scales. Bateman I, Day B, Dupont D, Georgiou S, Matias NGN, Morimoto S, Subramanian L (2006). Does phosphate treatment for prevention of eutrophication pass the benefit-cost test?. Working Paper - Centre for Social and Economic Research on the Global Environment(1), 1-25. Does phosphate treatment for prevention of eutrophication pass the benefit-cost test? Over the past few decades the problem of eutrophication of water bodies has accelerated due to large additions of nutrients from human sources. This paper conducts a contingent valuation of household willingness to pay to reduce eutrophication impacts. The application employs the recently proposed one-and-one-half-bound dichotomous choice method for eliciting willingness to pay responses. It is also novel in that an examination of the rate and determinants of survey participation are analysed allowing superior aggregation of total values by allowing for those who refuse to be interviewed. A simple cost benefit analysis of anti-pollution measures is also reported. Day B, Bateman I, Lake I (2006). Estimating the demand for peace and quiet using property market data. Working Paper - Centre for Social and Economic Research on the Global Environment(1), 1-37. For many industrialised nations environmental noise is emerging as a local pollutant of major concern. Incorporating such concerns into policy guidance tools such as social cost benefit analysis requires estimates of the monetised benefits of noise reduction. Using a two-stage hedonic pricing methodology we estimate a system of structural demand equations for different sources of transport-related noise. Our application applies state-of-the-art econometric techniques. In the first stage, we identify market segments using model-based clustering techniques and estimate separate hedonic price functions for each segment. We spatially smooth the data to account for omitted spatial covariates and employ a semiparametric estimator to allow flexibility in functional form. In the second stage, we control for nonlinearity of the budget constraint and identify demand relationships using techniques that account for problems of endogeneity and censoring of the dependent variable. We report welfare estimates for peace and quiet that we believe to be the first derived from property market data in a theoretically consistent manner. Bateman IJ, Jones AP, Jude S, Day BH (2006). Reducing gains/loss asymmetry: a virtual reality choice experiment (VRCE) valuing land use change. Working Paper - Centre for Social and Economic Research on the Global Environment(1), 1-28. Recent research suggests that, in some situations, numeric information may lack the 'evaluability' of visual representations of the same data. In such cases, reliance upon numeric information exacerbates tendencies for survey respondents to rely upon heuristics rather than their underlying preferences in formulating responses. Adapting such insights to the field of non-market valuation, for certain environmental goods, information on increases or decreases in the numeric levels of an attributes may trigger reliance upon the loss aversion heuristic, leading to an exacerbation of the well know gains/loss asymmetry problem (Horowitz and McConnell, 2002). A split sample choice experiment (CE) is described in which standard approaches to conveying a land use change scenario (relying principally on numeric information) are contrasted with an alternative treatment in which objectively identical information is presented in visual form via virtual reality (VR) visualisations. A third treatment combines both formats. Results show that the gains/loss asymmetry is roughly twice as strong under a conventional numeric CE design than in the presence of visual information. The combined VRCE methodology developed in the paper therefore significantly ameliorates this pervasive anomaly and, we contend, represents an exciting prospect for the incorporation of complex real world environments within economic analyses. Bateman IJ, Day BH, Georgiou S, Lake I (2006). The aggregation of environmental benefit values: Welfare measures, distance decay and total WTP. Ecological Economics, 60(2), 450-460. We review the literature regarding the aggregation of benefit value estimates for non-market goods. Two case studies are presented through which we develop an approach to aggregation which applies the spatial analytic capabilities of a geographical information system to combine geo-referenced physical, census and survey data to estimate a spatially sensitive valuation function. These case studies show that the common reliance upon political rather than economic jurisdictions and the use of sample mean values within the aggregation process are liable to lead to significant errors in resultant values. We also highlight the fact that for resources with use values then we should expect overall values to reduce with increasing distance from such sites, but that changes in the choice of welfare measure will determine whether such 'distance decay' is to be expected within values stated by those who are presently non-users. The paper concludes by providing recommendations for future improvements to the methodology. © 2006 Elsevier B.V. All rights reserved. Day B (2005). Distribution-free estimation with interval-censored contingent valuation data: Troubles with turnbull?. Working Paper - Centre for Social and Economic Research on the Global Environment(1), 1-33. Distribution-free estimation with interval-censored contingent valuation data: Troubles with turnbull? Contingent valuation (CV) surveys frequently employ elicitation procedures that return interval-censored data on respondents' willingness to pay (WTP). Almost exclusively, CV practitioners have applied Turnbull's self-consistent algorithm to such data in order to obtain nonparametric maximum likelihood (NPML) estimates of the WTP distribution. This paper documents two failings of Turnbull's algorithm; (1) that it may not converge to NPML estimates and (2) that it may be very slow to converge. With regards to (1) we propose new starting and stopping criteria for the algorithm that guarantee convergence to the NPML estimates. With regards to (2) we present a smorgasbord of alternative NPML estimators and demonstrate, through Monte Carlo simulations, their performance advantages over Turnbull's algorithm. Atkinson G, Day B, Mourato S, Palmer C (2004). 'Amenity' or 'eyesore'? Negative willingness to pay for options to replace electricity transmission towers. Applied Economics Letters, 11(4), 203-208. A frequent scenario in public decision-making is that of choosing between a number of proposed changes from the status quo. In such a case, stated preference surveys, such as the contingent valuation method, are often undertaken to assess the size of the benefits associated with each proposed change. For certain undesirable options, respondents may prefer the status quo; however, it may not be credible to directly elicit negative willingness to pay or willingness to accept to endure the change. This study, using contingent valuation, outlines an indirect means of measuring negative willingness to pay - for the problem of visual disamenity arising from alternative electricity transmission tower designs - based on the elicitation of indicators of how inconvenienced respondents would feel if a less preferred option were to replace the status quo; that is, the time and cost respondents were prepared to commit to opposing the change. The results show that taking account of negative willingness to pay matters and this significantly changes value estimates for some of the least liked options. © 2004 Taylor and Francis Ltd.
Ready R, Navrud S, Day BH, Duborg R, Machado F, Mourato S, Spanninks F, Rodriguez M (2004). Contingent valuation of ill health caused by pollution: Testing for context and ordering effects. Portuguese Economic Journal, 3, 145-156. Day B, Bateman I, Lake I (2004). Nonlinearity in hedonic price equations: an estimation strategy using model-based clustering. Working Paper - Centre for Social and Economic Research on the Global Environment(1), 1-82. Recent advances in the theoretical understanding of equilibria in property markets predict that the equilibrium hedonic price function will typically be highly nonlinear. Rather than adopting progressively more flexible econometric specifications to deal with this nonlinearity we adopt an alternative estimation strategy based on a further insight provided by the theoretical literature. That insight is that in equilibrium the market may not be characterised by a continuum of properties over attribute space. Rather the market may well be lumpy, being well-provided with properties exhibiting certain combinations of characteristics and sparsely provided elsewhere. We test the predictions of two different models; one that suggests that the market will be characterised by clusters of properties with similar physical attributes, one that the market will be characterised by clusters of neighbourhoods exhibiting similar socioeconomic compositions. We identify clusters by applying techniques of model-based clustering which allow the data to inform on the nature and the number of clusters. Our estimation strategy for handling nonlinearity, therefore, is to avoid estimating the hedonic price function over the entire attribute space. Rather, we fit separate price functions for the properties in each cluster thereby forming local approximations to the hedonic price surface over the attribute area spanned by the properties in each cluster. Finally we test to see which partitioning of the data, either according to the attributes of properties or the socioeconomics of neighbourhoods, is capable of explaining more of the variability in the data. Bateman IJ, Day BH, Dupont D, Georgiou S (2004). OOH LA LA: Testing the one-and-one-half bound dichotomous choice elicitation method for robustness to anomalies. Working Paper - Centre for Social and Economic Research on the Global Environment(1), 1-57. Although attractive in terms of its incentive compatibility, the standard single bound (SB) dichotomous choice technique for eliciting willingness to pay (WTP) responses in contingent valuation surveys has a major drawback in terms of its low statistical efficiency. While alternatives such as the double bound (DB) approach (which supplements an initial SB style question concerning a specified bid amount with a subsequent follow-up question concerning a different bid amount) offer improved statistical efficiency, they do so at the cost of compromised incentive compatibility and have also been shown to be vulnerable to a number of response anomalies. An innovative alternative, the one-and-one-half-bound (OOHB) dichotomous choice approach, has recently been proposed by Cooper, Hanemann and Signorello (2002). The OOHB differs from the DB in a number of important respects; the most important being that while each respondent is again exposed to two bid amounts, these are presented prior to any response as upper and lower limits on the cost of schemes. This preserves the incentive compatibility of responses concerning those two limits while generating most of the efficiency gains afforded by the DB method. However, Cooper, Hanemann and Signorello fail to test the method for robustness against response anomalies. Such a test is provided by the present paper. A number of theoretical consistency hypotheses are formulated by contrasting standard expectations with those derived from non-standard reference dependent utility theory. These are tested through the first application of the OOH method within its intended public goods context in a study concerning WTP for remediating impacts upon water quality associated with climate change. Data is collected through a face-to-face survey of over 1250 UK households. Results reject the theoretical consistency of elicited WTP responses showing that the OOHB is highly vulnerable to a number of anomalies. In particular acceptance rates for a given bid amount varied according to which other amount it was paired with and the order in which responses were elicited. We speculate upon the implications of these findings. Day B, Bateman I, Lake I (2004). Omitted locationalvariates in hedonic analysis: a semiparametric approach using spatial statistics. Working Paper - Centre for Social and Economic Research on the Global Environment(1), 1-58. A frequent assumption of hedonic price estimation using property market data is that spatial autocorrelation of regression residuals is a feature of the error generating process. Under this assumption, spatial error dependence models that impose a specific spatial structure on the error generating process provide efficient parameter estimates. In this paper we argue that spatial autocorrelation is induced by spatial features influencing property prices that are not observed by the researcher. Whilst many of these features comprise the subtle nuances of location that might adequately be handled by modelling the error process, others may be substantive spatial features whose absence from the model is likely to induce omitted variable bias in the parameter estimates. Accordingly we propose an alternative estimation strategy. We use spatial statistics to determine the nature of spatial dependence in regression residuals. Subsequently we adopt a semiparametric smooth spatial effects estimator to account for omitted locational covariates over the spatial scale indicated by the spatial statistics. The parameter estimates from this model are found to differ significantly from those of a spatial error dependence model. Day B (2003). Submarket identification in property markets: a hedonic housing price model for Glasgow. Working Paper - Centre for Social and Economic Research on the Global Environment(1), 1-50. This paper presents a hedonic housing price model for the city of Glasgow in Scotland. The major innovation of the research is the use of hierarchical clustering techniques to identify property submarkets defined by a combination of property types, locations and socioeconomic characteristics of inhabitants. Separate hedonic price functions are estimated for each submarket and these functions are shown to differ significantly across submarkets. Further, the paper illustrates the use of a generalised moments estimator proposed by Kelejian and Prucha that accounts for spatial autocorrelation in property prices. Spatial autocorrelation is shown to be an important consideration with this data. The principal motivation of the research is to provide an indication of the impact of road traffic noise on the market price of property. In all but one of the submarkets exposure to road traffic noise is shown to have a significant negative impact on property prices. Day B, Bateman I, Lake I (2003). What price peace? a comprehensive approach to the specification and estimation of hedonic housing price models. Working Paper - Centre for Social and Economic Research on the Global Environment(1), 1-49. Previous work on hedonic price functions tends to have focused on one of a number of specification and estimation issues; namely, market segmentation, choice of functional form, multicollinearity or spatial autocorrelation. The purpose of this paper is to bring together these various strands to provide a comprehensive modelling approach. In particular we use a combination of factor analysis and cluster analysis to define market segments and reduce collinearity in the data. We adopt Robinson's semiparametric specification of the hedonic price function and account for spatial autocorrelation using Kelejian and Prucha's generalized moments estimator. The modelling approach is applied to a large and extremely detailed dataset for the City of Birmingham constructed from multiple data sources and compiled with the use of GIS. The focus of this application is the identification of implicit prices for noise pollution from road, rail and air traffic sources. Bateman IJ, Jones AP, Lovett AA, Lake IR, Day BH (2002). Applying Geographical Information Systems (GIS) to environmental and resource economics. Environmental and Resource Economics, 22(1-2), 219-269. Many of the analyses undertaken by environmental and resource economics are intimately concerned with spatial variations. This article examines the contribution which Geographical Information Systems (GIS) may provide in incorporating the complexities of the spatial dimension within such analyses. The paper introduces the reader to the types of data handled by a GIS and overviews the practical functionality offered by such systems. A brief literature review is supplemented by a number of more detailed applications illustrating various GIS techniques which may be of use to the applied environmental or resource economist. Lake IR, Lovett AA, Bateman IJ, Day BH (2000). Improving land compensation procedures via GIS and hedonic pricing. Environment and Planning C: Government and Policy, 18(6). One of the results of new road construction is often a reduction in the price of nearby properties. In the United Kingdom property owners can be compensated for this loss through the Land Compensation Act. The appropriate level of compensation is currently determined by valuers and is mainly based upon their expertise and skill. This study aims to determine what the correct level of compensation should be. It has been specifically designed to fulfil the requirements of current legislation and can be integrated into existing compensation procedures. This was achieved through a hedonic pricing study that relates current property prices to a wide range of factors. These variables include the structure, neighbourhood, accessibility, and environment of the property, in addition to the impact of nearby roads. These were all created through GIS and large-scale digital data. The study, which is based on over 3500 property sales in Glasgow, Scotland, suggests that property prices were depressed by 0.202% for each decibel increase in road noise. This result has enabled a more streamlined compensation procedure to be developed and demonstrates that compensation claims can be estimated at the road-development stage. This would allow any compensation claims to be assessed prior to road construction and inform the design of noise-reduction measures. Lake IR, Lovett AA, Bateman IJ, Day B (2000). Using gis and large-scale digital data to implement hedonic pricing studies. International Journal of Geographical Information Science, 14(6), 521-541. This paper describes how a standard GIS package can be used to convert large-scale vector digital data (point, line and annotation features) into polygons using standardised and replicable methods. Building area, garden and land use polygons are all derived from such data (Ordnance Survey LandLine.Plus). These entities are then combined with further sources of digital data to derive more refined information such as property types. Finally, complex DEMs are developed for use in visibility studies. The variables calculated are subsequently employed in a property valuation study where many are found to be significant determinants of property price. The main exception is variables relating to viewsheds, although it is argued that this does not invalidate the techniques used in their deviation but highlights the difficulties involved in modelling a large number of variables in a property price analysis. © 2000 Taylor & Francis Group, LLC. Day BH, Bateman IJ, Lake IR (2006). A hedonic pricing analysis of road traffic noise. In Pearce DW (Ed) Valuing the Environment in Developed Countries, Edward Elgar. Bateman I, Day B, Dupont D, Georgiou S, Matias NG, Morimoto S, Subramanian L (2006). Cost-benefit analysis and the prevention of eutrophication. In (Ed) Environmental Valuation in Developed Countries: Case studies, 317-339. Day B, Bateman I, Lake I (2006). Hedonic price analysis of road traffic noise nuisance. In (Ed) Environmental Valuation in Developed Countries: Case studies, 363-406. Atkinson G, Day BH, Mourato S (2006). Underground or overground? Measuring the visual disamenity from overhead electricity power lines. In Pearce DW (Ed) Valuing the Environment in Developed Countries, Edward Elgar. Day BH, Mourato S (2002). Valuing river water quality in China. In Pearce DW, Pearce C, Palmer C (Eds.) Valuing the Environment in Developing Countries, Edward Elgar. Day BH (2002). Valuing visits to game parks in South Africa. In Pearce DW, Pearce C, Palmer C (Eds.) Valuing the Environment in Developing Countries, Edward Elgar. Nellthorp J, Bristow A, Day B (2007). Cost-benefit values for surface transport noise: Derivation, application and international comparisons. Day B, Smith GS (2018). Outdoor Recreation Valuation (ORVal) User Guide: Version 2.0., Land, Environment, Economics and Policy (LEEP) Institute, Business School, University of Exeter. Full text. Day B, Smith GS (2017). The ORVal Recreation Demand Model., Land, Environment, Economics and Policy (LEEP) Institute, Business School, University of Exeter. Full text. Day B, Smith GS (2016). Outdoor Recreation Valuation (ORVal) User Guide: Version 1.0., Land, Environment, Economics and Policy (LEEP) Institute, University of Exeter. Full text. Bateman IJ, Day BH, Lake IR, Lovett AA (2001). The effect of road traffic on residential property values. The Stationery Office, the Stationery Office.